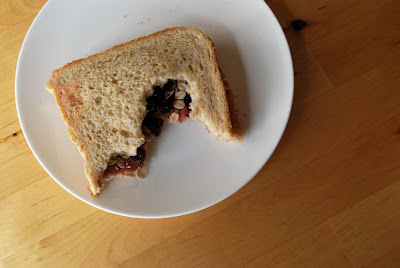 (Raspberry jam, rolled oats, dried cranberries on wholemeal). Just thought I'd say how much I liked my visit... I'll have a honey and slices of pear sandwich when I visit next please.